Newsru.com economics commentator Maksim Blant wrote on an interesting subject this week: is spending on the OPK an engine or drag for Russia’s innovation economy? Blant has two primary arguments against military Keynesianism in Russia’s context. First, more money for the OPK will further tighten an already taut market for certain labor. Second, OPK spending’s multiplier effect will benefit raw materials producers more than consumers. His article appears against a backdrop of questions about Russia’s ability to meet increasing pension obligations over the next 2-3 years without raising taxes, and former Finance Minister Kudrin’s contention that it could, but for the 20 trillion rubles going to the military’s rearmament program. Blant allows that a majority of experts are inclined to agree that increased military spending can stimulate economic growth, and large defense industry orders can have a multiplier effect causing expansion in other sectors. The argument is familiar. State orders lead to job creation and greater consumer demand. Defense enterprise orders to suppliers spur the process in other sectors. The jolt causes the economy to turn around. Blant says there are cases where military spending has brought an economy out of crisis, but asks will it work in Russia? He doubts creating jobs in the defense sector will increase consumer demand. Even discounting how much procurement money will be stolen in the military or OPK, he says relatively little of the trillions will go for wages. It would be easier to increase consumer demand by raising pensions. Blant says this job creation effort will occur in the midst of a demographic crisis — not an excess, but rather a relative shortage of labor. With state orders in hand, defense enterprises will compete against private businesses for engineers and skilled workers. Faced with this, civilian producers can either raise wages and lose competitiveness, or “escape” to countries where the labor market isn’t so tight. This, concludes Blant, makes the OPK not a “locomotive” of innovation development but rather its gravedigger. Blant turns to the multiplier effect in adjacent sectors. Yes, OPK money supports them, but raw materials suppliers and processors most of all. Together the two sectors form a “closed loop,” only weakly connected to other industries. In the end, he foresees a repeat of the 1980s, where the USSR’s defense sector, heavy machinebuilding, and raw materials producers sucked up the lion’s share of labor and other resources, leaving nothing for the consumer sector. Other media outlets largely repeated RIA Novosti while adding a little background. They reviewed President Medvedev’s comments on the failure of GOZ-2010, and on GOZ problems this spring, as well as repeated government and industry failure to meet Prime Minister Putin’s deadlines for completing all GOZ-2011 contracts. These outlets also mishandled Defense Minister Serdyukov’s statement from last week about having only 20 billion of 581 billion rubles in GOZ-2011 funds remaining to obligate. Several news sources inaccurately called it GOZ-2012 money. As ARMS-TASS reports, the government’s Military-Industrial Commission won’t start reviewing the draft GOZ-2012 until mid-November, and no contracts for next year have been negotiated or placed. This post is dedicated to a friend and mentor who highlighted the source material . . . .
Is Russian Finance Minister Aleksey Kudrin on-board with plans for increased military spending contained in the State Program of Armaments, 2011-2020? The economic press seems to think he’s not, and his reticence leads one to ask if the new GPV will fit Russia’s economic and budgetary realities in coming years. One thing’s certain (if you read on), 2011 is the first year of this GPV, and already, for a variety of reasons, many new arms will be bought with state-backed credits and loans. The GPV came into the headlines last spring when Kudrin and his ministry offered 13 trillion rubles, and the uniformed military replied that 36 trillion would be about right. Not much was heard about negotiations over the GPV until mid-July, when First Deputy Defense Minister Popovkin announced the figure would be about 20 trillion. Kudrin didn’t mean new as in news to him, but in the sense that it hasn’t been factored into the federal budget. 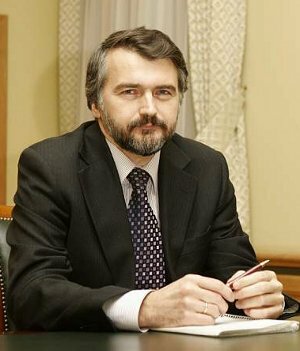 On 3 December, in MK, Nikolay Vardul critiqued Medvedev’s explanation of the GPV. NG chief military correspondent Viktor Litovkin explained that it was simply too late for changes in the defense budget for 2011 with expenditures already starting according to the adopted budget law. Then President Medvedev met with Kudrin meeting on 13 December. 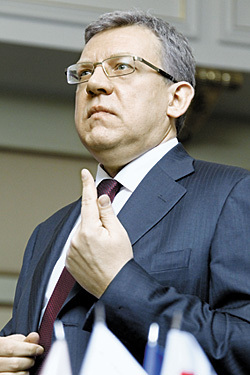 Later in December, Vedomosti quoted one of Kudrin’s deputies who said, many expenditures which have “already been announced – and first and foremost these are defense expenditures” have not been figured into the 2011-2013 budgets, and it’s “still unknown” how these obligations will be financed. 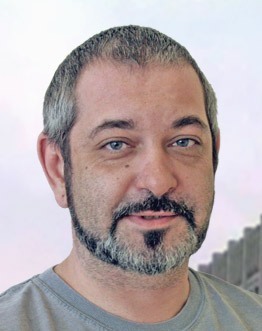 Dmitriy Butrin in Kommersant quoted Duma Defense Committee Chairman Zavarzin to the effect that, in 2011, 30 percent (about 500 billion of 1.5 trillion rubles) will be financed by state-guaranteed credits rather than by budget funds. Butrin went on to repeat Kudrin’s warning that the GPV can’t be covered by the projected budget income level, and the 20 trillion could make increased taxes unavoidable. So where does this leave the GPV. These economic commentators describe the same general picture . . . the GPV is extra spending for which financing has not been identified, at a time when key categories of budget income (i.e. oil and gas revenues) will decline (from 17 percent in 2009 to 13 percent by 2020) and the prospect of higher deficits already looms. Russia also faces lower receipts and more payouts for pensions and health care over this period. Kudrin and company are looking at possibilities, mainly increasing some taxes, but also maybe raising the retirement age. None of this will help economic growth or make people happy. No wonder the Finance Minister has resisted extra military spending to the extent that he can. This GPV, if implemented, will impede the economic modernization President Medvedev wants. But history says this GPV’s not likely to happen. Even its most recent predecessor, started under favorable economic conditions, was superceded rather than completed. And now is definitely not a favorable time like that.